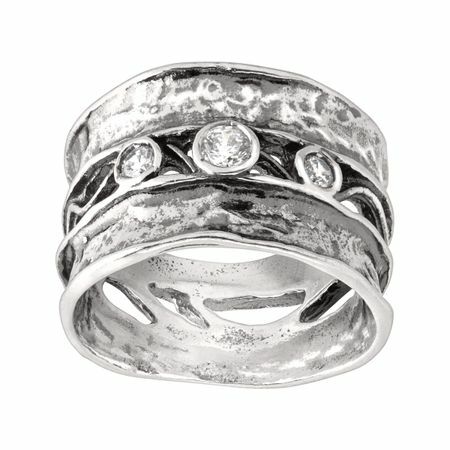 This sterling silver ring gives the illusion of three bands all in one: three cubic zirconia are set in-between two textured sterling silver bands, making this a piece you can pair with anything. Ring face measures 1/2 an inch in width. Piece comes with a “.925” sterling silver stamp as a symbol of guaranteed product quality.